- How many pages the site has? - Roughly what % of the pages your consider winners (main earners)? - How many referring domains? I've been lurking this site for a while now. I just wanted to show you what my first year in this business looks like. Nice work Mats, where in Sweden are you? I'm just outside Varberg. Thanks Stephen, I'm from Norrtälje. This is very inspiring. Thank you from a newbie who has just purchased a domain and now hoping to make it work. b) how much attention to the content quality you paid overall. I'm asking because I've been copywriting for some time, but hell I'm a slow writer and I realize I'll need to outsource. Yet, I've also been dealing with other copywriters, and hell it's hard to find a good one I could trust. So I'm trying to understand if it's even worth sweating the quality so much. a) I had more cash then I had time and I really hate writing. I'm much better at managing writers and come up with a systemized workflow for them and my VA.
b) In the beginning i proof read everything. Now I just skim through before I hit publish. If you want to grow your business i'd say you'll have to outsource most of the work. You can't micro manage everything. My plan is to separate my self as much as possible from anything in the business. I don't want to create antoher job for myself, I want freedom. It's hard to find good writers but they are out there and it's worth paying a little extra to avoid any headaches. 2018 has also started great with record month after record month. I just became a dad and the spare time I had in the evenings are almost gone. I've got 20 articles done for a new site but haven't had the time to set it up yet. I have a question for @yawei and @matsmaatson, since you are doing good on Amazon as affiliates, and I want to start Amazon affiliate site myself next month, I was thinking would it be better to start with general type of site like doing reviews for so many categories like "Health" "Toys" "Home" "Sports" etc, or would you pick just one broad category and focus to do reviews for it only? I have a budget now and I hate dealing with clients, so I want to switch to affiliate stuff. I believe with some of the approaches either one broad category or many broad categories, I can hit 5 figures per month because that's the main goal for me. I'm doing one broad topic per site. My sites are in Swedish and we don't have Amazon here yet. I had a pretty good Amazon day yesterday. I'm doing better than I've ever done recently and I hope it sticks. That's around $120-$150 of commission, which would be my record if it would all ship out at once. This is a much better way to spend free time in college than getting drunk and playing call of duty every night. I'd be doing the same stuff if I hadn't found this forum. I don't have recent successses to share, but some fun ones from my past. Anyone remember Susan Boyle? I was running a free credit reporting CPA at the time, sending any cheap eyeballs I could find to my lander. Susan Boyle searchers made me $1000s for some reason (not sure why they converted so well). I also racked up $25k in credits from my electricity provider by way of their refer-a-friend system. The moral of the story, get Sh#t done.... its all that really matters. Try, fail, try again.... failing is learning, success is the cherry on top. Not going to post earnings screenshot, but something to keep in mind. The main thing you need is an edge. When you find your edge, scale. You can't make a steady return days doing what everyone else is doing. If you're ripping banners or running the same offers on the same traffic as anyone else, how can you get your edge? Perfect your launch strategy, get custom software, find new traffic sources ... Same goes for SEO. Any traffic can make you money, even popups. We have done several 5-10k eur days on popups, even though "pops are dead". It’s nothing crazy compared to some big player here, but still an achievement as I made my first 3$ five years ago. I finally reach an average of 15k/month on a regular basis. I’m not gonna share all the screenshot but here are 2 from Amazon and stripe for the past months. I have been working to diversify my income and it finally seems to pay off. So now money is coming from: affiliate commissions, display ads and email marketing. @Moksha - is the website targeting French market? Here's one site for last quarter. This is within 2 metro areas in the US, with calls being routed on a 1:1 basis, meaning each call goes to a unique service provider within that metro area. Calls are also filtered at the routing level, meaning autodialers and robocalls automatically hit a junk VM box, with the list being updated every 6 hours. If the call has commercial intent, it's routed to a commercial provider only. I'm in the process of mapping this process out and bringing on more providers, and tripling my cost per call, which this market can sustain fairly easily. For them, each "job" is worth $8k - $56k, with most of their cost to consumer being absorbed by government subsidy. A small slice of local can make big payouts if you play your cards right. Porsche Taycan? F*ck you Nick! Thank you for the share @Moksha! Amazon Affiliate graphs are some of the most inspirational. If you don't mind sharing, was growth steady over the lats 5 years and is this all from one big site or a bunch of smaller sites? I've been stuck at $2-300/month for a while and it's motivation like yours that keeps me determined to keep growing. I don't drive any fancy cars... Although I have a pretty interesting Jeep wifey and I have built and literally lived in for a few months because we like road trippin. I'm also not a fan of showing income reports because I think it focuses people on the wrong metric... It is about how much value we give to our audiences that counts. 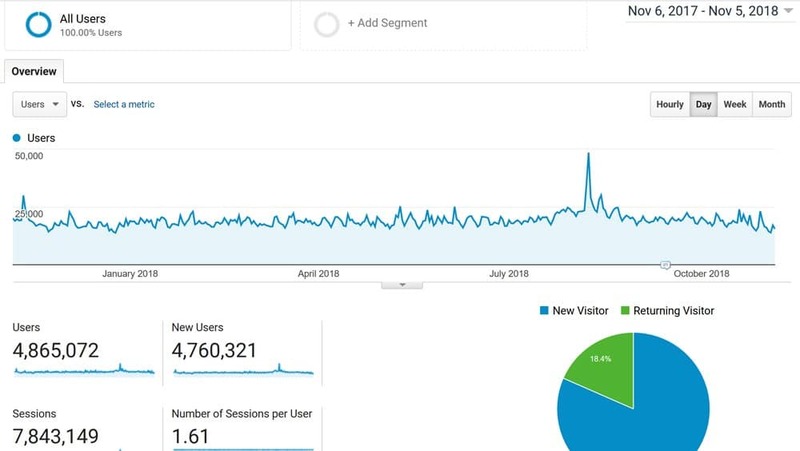 So here is an analytics screenshot from my wife's site in the last year. We've probably worked 80% LESS this last year... Honestly slacking a bit on the content marketing side but the traffic keeps coming... Super consistent. We do a lot of email marketing and revenue is at new highs even while we are putting in a fraction of the time we used to. I show this because I really think that this graph (mixed with how little effort we put in during this time frame) is such a powerful example of the kind of lifestyle freedom these businesses can create. 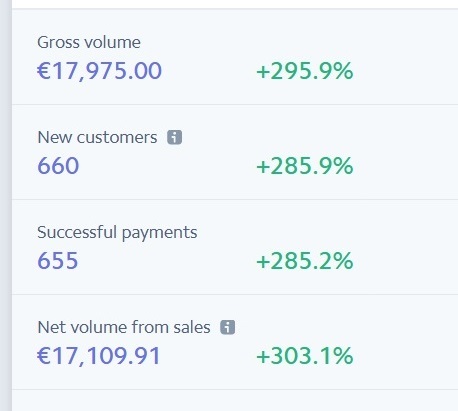 Traffic, leads and sales keep on coming from the work we put in years ago! It is like moving a mountain with a spoon, but it WORKS if you stick with it long enough and constantly focus on being more strategic and keep testing your conversion points. Shieeet, I'm starting to love the holidays! 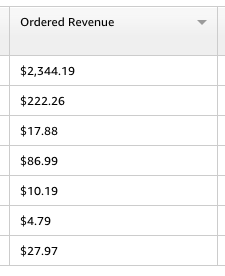 Impressive ordered revenue, hopefully, your product tier has a nice commission % too. Half your clicks, but quarter the revenue. Shows how much niche selection can affect earnings. My Amazon commission percentage is about 4-5%. Tyty. Your numbers look great as well. I'm in the 4-8% range, so definitely can't complain.